If you’re looking for an ETL-certified car lift that will do it all, this is the lift for you. It is available with Symmetric or Asymmetric arms. Just change the lift’s arms to change the design. If you want the ability to do both, order the certified car lift and ask for the extra set of arms. The 10,000 lbs. capacity allows you to work on cars, SUV’s and Trucks up to 3/4 Ton. 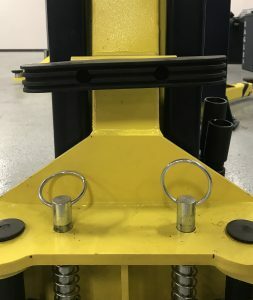 This certified car lift has rubber door guards on each post to provide that added security against door damage. 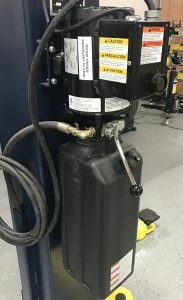 It has outer hose guards to protect the hydraulic hoses from unnecessary damage. 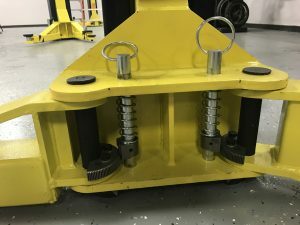 This lift also has double telescoping arms with drop-in pads, a heavy-duty arm restraint system and a single-point lock release. An ETL certified car lift means it’s been tested by a trusted third-party (Intertek). What kind of tests do they do? They put 1.5X the weight capacity on the lift and then run through a serious of tests. On this lift we loaded up 15,000 lbs. in the way of steel coils. We lifted it. Lifted and held it. Shifted the weight forward, then backward, then sideways and lifted it. We lifted it and then cut the cables to see how quickly it lowered. We then had each component of the lift, like the cables and such, tested individually through Intertek. We also send this lift with a Power Unit that has also been certified. 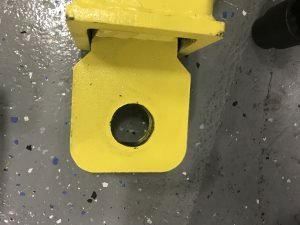 It’s a rigorous testing process to see how the lift will react under all different conditions. If the lift “passes” it has the “certified” label. Eagle knows that a lift must be safe in order to protect from serious injury and death. 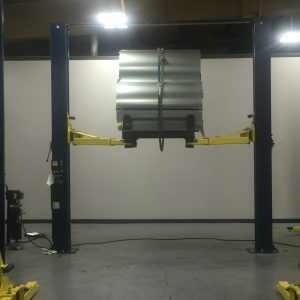 With this lift, you not only have our word for it, you have Intertek‘s certification and the Automotive Lift Association as well. When this lift is in-stock, it’ll ship the next business day. Give us a call today at 1-800-336-2776 or order yours online. Our certified symmetric lift and our certified asymmetric lift are now combined in one versatile lift, the Eagle ECL-10AS. 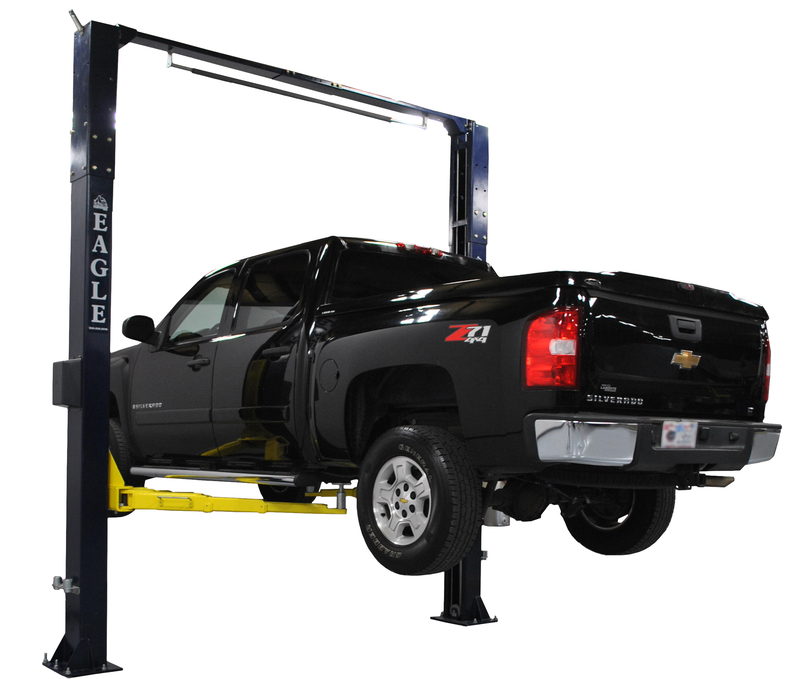 The ECL-10AS Certified Car Lift from Eagle features the ability to be installed as a symmetric or asymmetric lift, determined upon the needs of your shop. The ECL-10AS features 3-stage rear arms, providing maximum extension ensuring safe and reliable lifting on all vehicles within the rated capacity. 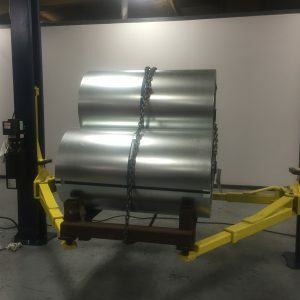 Some of the features that make this one of our most popular two-post certified car lifts include: adjustable height and width options, triple telescoping spin up pads, durable powder-coated Eagle blue finish, plated arm restraints and pins as well as the many other features. 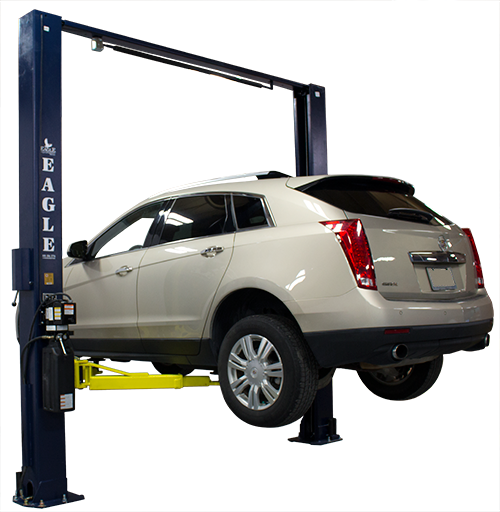 This Eagle Certified car lift will easily handle the rigorous demands of a full service facility. 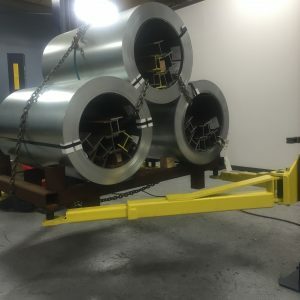 All Eagle lifts are designed and manufactured to our highest standards. 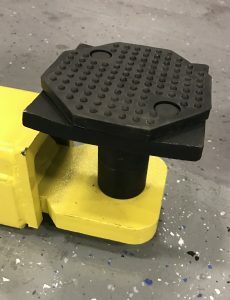 Adjustable column height. Provides an extra 6″ of height adjustment for ease of installation with various ceiling heights. 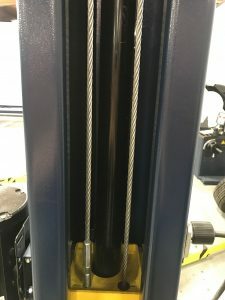 Adjustable column width. Provides an extra 6″ of width adjustment for narrow service bays to custom fit your shop. 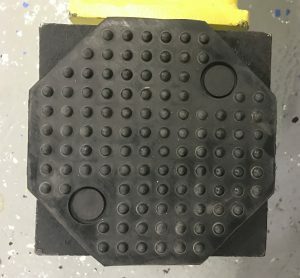 Rubber door guards. Provides added security against door damage. 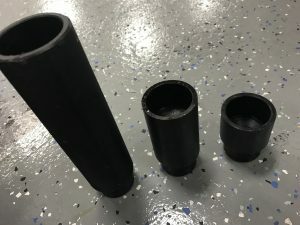 Outer hose guards. Protects hydraulic hoses from damage. Heavy-duty arm restraint system. Oversized rugged steel gears, pins and springs. Click here to see it online!